Stepped surfaces in 3D prints have been around since the dawn of 3D printing using the FDM process. The question is how to get rid of the unattractive steps them without drastically increasing print time. In this article I will cover a new feature in the Slic3r Prusa Edition that will allow you to tackle this problem in an interesting way. This also works for 3D printers which are not made by Prusa. I will test the feature with my Flashforge Dreamer. 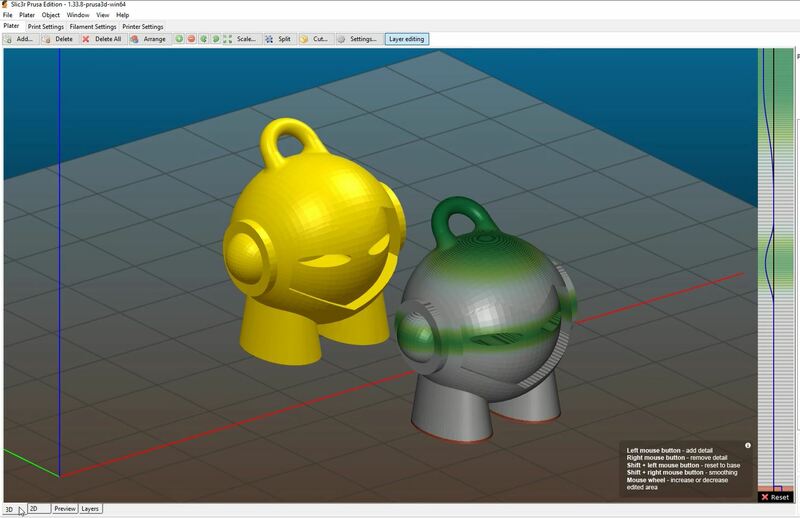 In this post I will cover installation of the Slic3r Prusa edition software, the procedure for setting the variable layer height in Slic3r and discuss the results of some sample prints. In 3D printed models, vertical surfaces look fine for most purposes, even at coarser layer heigts of 200 or 300 microns. However, slanted surfaces show a stepped pattern, which becomes more or less pronounced depending on the angle of the surface. The worst looking areas of a 3D printed part are typically where the surface it close to horizontal. If you want to print a part where you consider this to be an issue (and don’t want to resort to post-processing), there used to be only one option: print the entire part in a higher resolution. This however, dramatically increases print time, to the point where even small parts can take several hours to print. The Prusa Slic3r variable layer height feature brings the best of both worlds: reduction of the visual steps in critical locations and only a limited penalty in print time. The feature allows the user to selectively edit the layer height on sections of a part. Transitions between edited and unedited sections can be smoothed out to make the layer height change less visible. It is also possible to increase the layer height on less critical sections of the part. In Simplify3D it is also possible to use different processes on a single part, but with “hard” transitions between these sections. Furthermore, Slic3r is a free program, so it does not cost anything to have access to this feature. First we will have to install the Slic3R prusa edition. It can actually be installed on a system that already has the original slic3r installed. 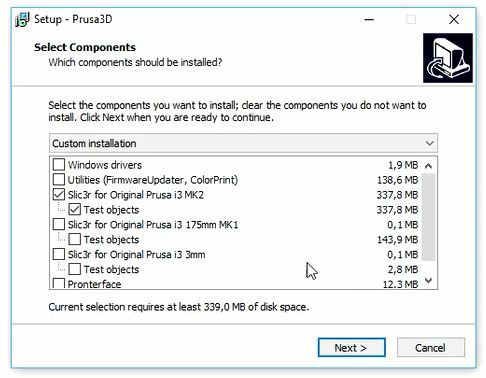 During the installation process select “Slic3r for original Prusa MK2” and DE-select everything else if you are not using a Prusa printer. Press “next” and complete the installation process. 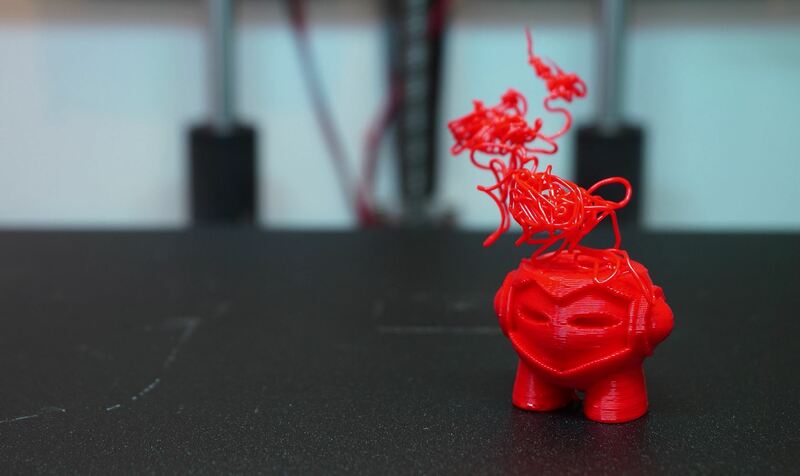 The Prusa Slic3R comes preloaded with several specific Prusa printer and filament settings. In order to use your own settings (if you are an existing Slic3r user), go to your original Slic3r software and select “export config bundle”. 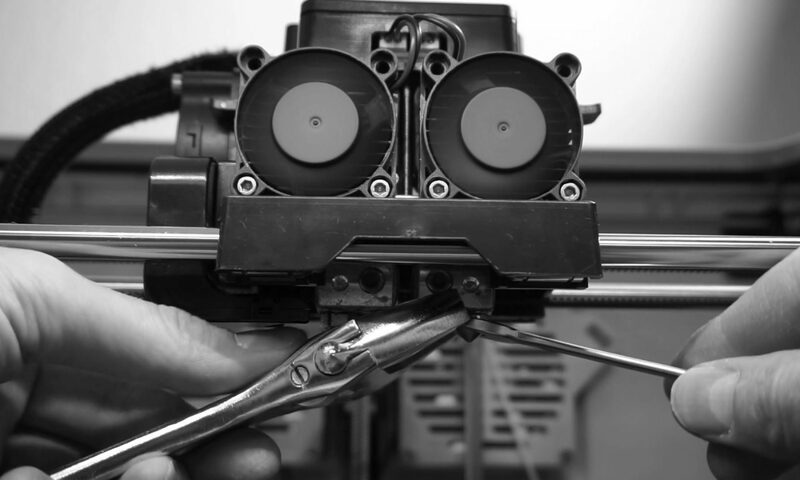 This will save all of your printer, process and filament settings. Go back to the Prusa Slic3r and select “import config bundle”. This will add all of your settings to the Pusa Slic3r. All of the Prusa settings will also remain available, but you can delete these if so desired. Import and arrange parts on the build area like you would in the regular Slic3r software. 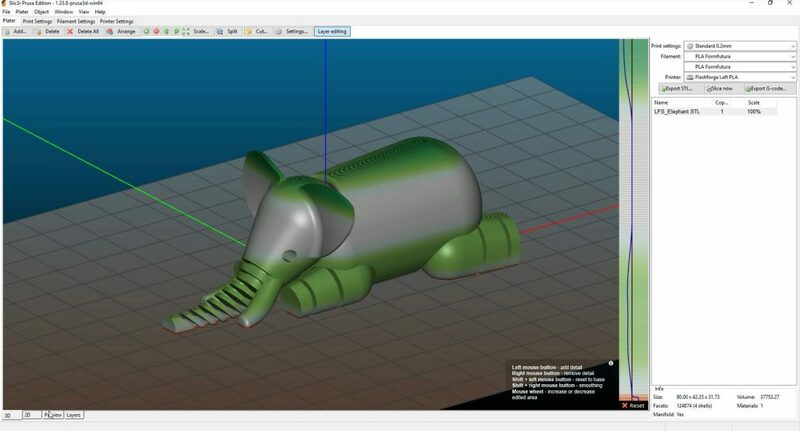 In this first example we will start with a model of an elephant. This is a popular model on Thingiverse, by Lefabshop, which can be found here. The base layer height for this model is set to 200 microns. For accessing the variable layer height option, click on the new “Layer Editing” button in the toolbar. With this function enabled you can select areas on your model where you would like to have a smaller layer height to create a smooth surface. Hold the left mouse button over the area you want to edit and press an d hold the left mouse button to reduce layer height. Hold shift and press the RIGHT mouse button to create a smooth transition zone. Alternatively, the right mouse button can be used to increase layer height, thereby reducing detail on the part. You can keep editing regions until you are satisfied with the results. A small help window at the bottom right of the viewport shows the various mouse and keyboard combinations you can use . Press the Slice now button to generate the G-code. In the preview window it is possible to verify the output and check if the edited layer height delivers the desired result. Next, export the G-code. The export process takes quite a while, Prusa is working on optimizing the code, so this should improve in the near future. The program is now ready to be sent to the printer by using Flashprint, or by copying it directly to the SD card, whichever you prefer. 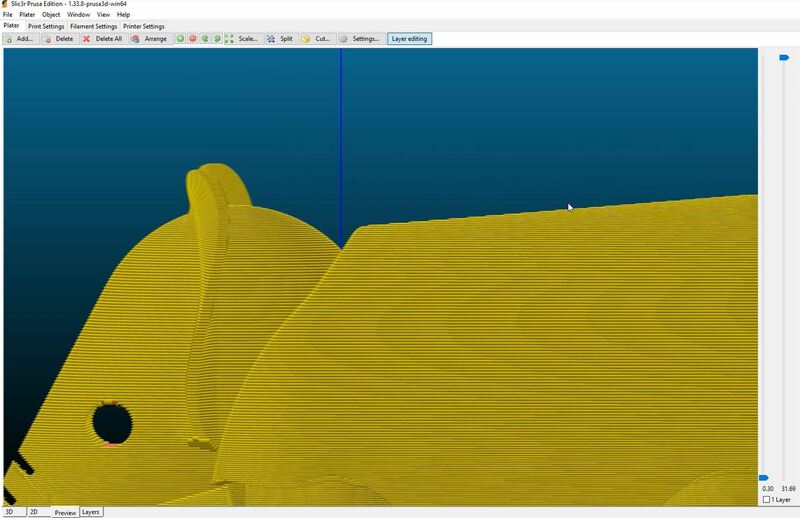 The picture below shows a comparison to a model with a fixed layer height of 200 microns (grey model). The red model is the new part with the same base layer height of 200 microns, but locally reduced down to 70 microns. The top surface has improved significantly on the red model. The effect can be seen on the back of the elephant, as wel as on the top of its head. 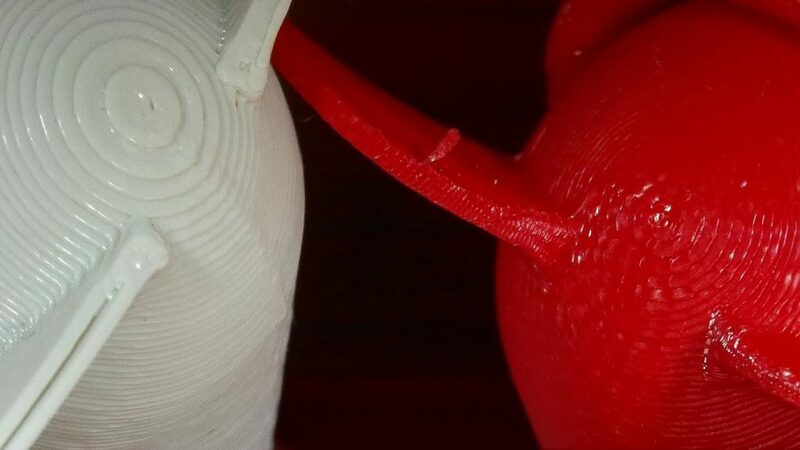 The smaller layers on the red elephant do show some more vibration artifacts, but this is common when printing at smaller layer heights on the Flashforge, at least for me it is. The process settings and the quality of the printer become more critical with reduced layer height. Overall however the quality has been improved, and if you are planning on sanding the model, this is also much easier with the smaller layer height in critical areas. It is possible to place multiple models on the build platform in Slic3R and use the selective layer height on only selected models. In this next example I edited the layer height on only the front Marvin. The Marvin in the back is left at the base layer height of 200 microns. After printing it is already clearly visible that the top surface of the “standard” Marvin shows more pronounced layers than the front Marvin. It again becomes evident that the variable layer height part looks better, but process settings are more critical. There is more stringing and the part cooling seems inadequate for this specific part, which causes some deformation. This is all due to my setup however. 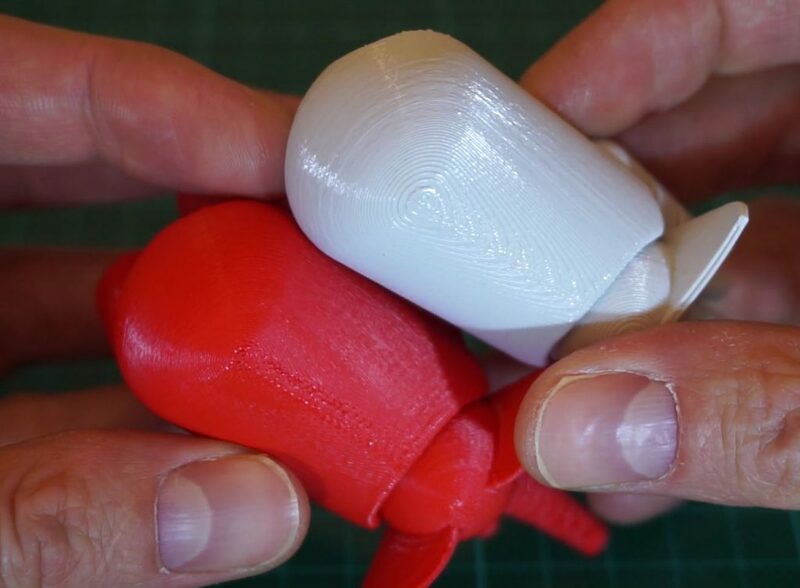 On the Prusa website there are some examples of a Marvin with reduced layer height that look much better. If you have any suggestions or questions, please leave the in the comment section below. Could you share your config file output for slic3r? Sure, no problem. I have added my config bundle under the software installation section of this article.